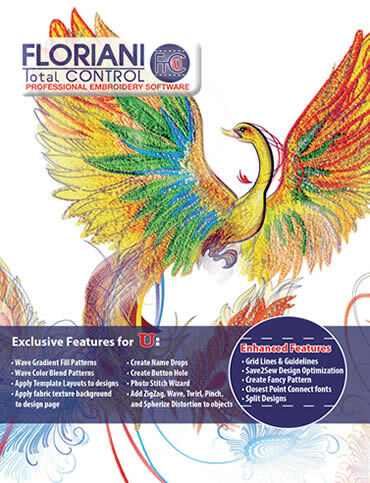 Sewing N Faith - Floriani Total Control "U"
Computer Software → Floriani Total Control "U"
The preceding spaces are here because some category display formats will cause the products to cascade to the right when displaying product by category. This is caused by the table below being part of the teaser sentence if you have a blank or very short active-e description. These spaces will trick the teaser sentence into thinking that it has something to display so that the table does not become part of the teaser sentence. You may need to adjust these spaces if you run into this issue.